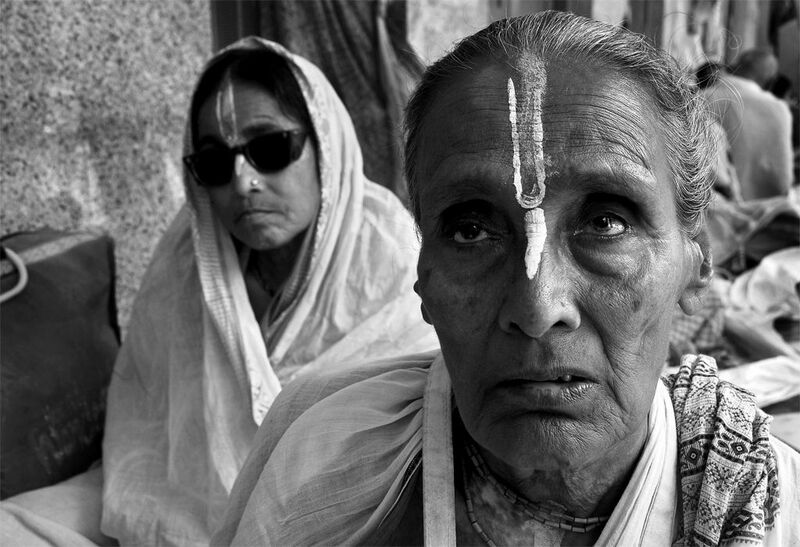 Devotee-The photograph was taken in Iskon temple at Mayapur,120 km from Kolkata.This widow devotees are from "Baishnab"clan. They are gathered in the festival of Hoil, the color festival. They are living their life praying for Lord Krishna. Date Uploaded: Nov. 16, 2011, 7:30 a.m.